Having dealt with the dark stuff, it seems logical to progress with a look at some of the paler beers from central and eastern Europe that are available in the UK. Not surprisingly, there is a greater range of these beers than the darker ones, but careful selection produces some excellent results. A goodly number of light-coloured beers follow a Pilsener-style format and while some can be pleasant enough, a fair few are, quite frankly, rather uninspiring. Drinking beer should be about having one’s taste buds challenged, surprised and ultimately kept happy. Thankfully, there are plenty of breweries that are equal to the task. Bavaria is synonymous with brewing, but there are good beers to be found from all around Germany. Kölsch is the generic name given to beer from Cologne and this tends to be very pale, quite hoppy, dry and with a vinous tang. 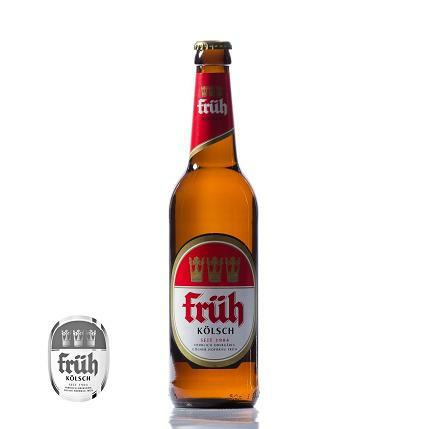 The two found most commonly in the UK are Fruh and Küppers, both weighing in at 4.8%. Both are distinctively pale and are crisp, clean-tasting beers. Küppers has a slightly more citric taste. From Berlin, the Berliner Kindl Brewery produces a range of beers, including some of those rather annoying 2.5 to 3% concoctions that seem to serve little useful purpose. While Duck Holiday does not subscribe to the view that beer must exceed 5% ABV to be worthwhile, there is little depth in such thin offerings. 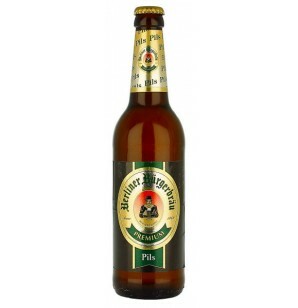 At 4.9%, Berliner Bürgerbräu Pils has more of a kick and is a good example of a Pilsener style. 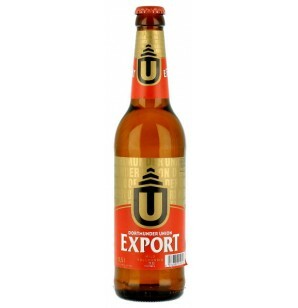 Dortmund’s Dortmunder Union brews the 5.3% Export, easily found in many places. This has a malty feel initially, but hop character comes through and lingers. These attributes are quite typical of the Dortmund style. One must, of course, consider the brewing stronghold of Bavaria. 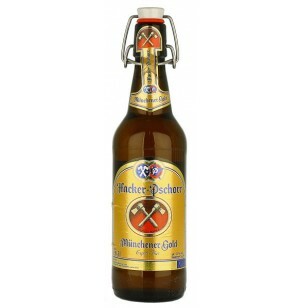 Hacker Pschorr Münchener Gold (5.5%) is a typical Munich pale beer. 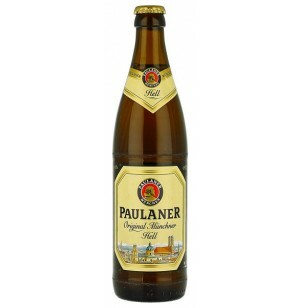 The prolific Paulaner brewery has something for all tastes and their Original Müncher Hell is not as intimidating as it might sound, being a relatively sensible 4.9%. The Czech Republic is also a country that specialises in beer. the widely available Krušovice Imperial (5%) is a pleasant and clean tasting lager, a good example of the Pilsener style, which of course has its origins in that country. 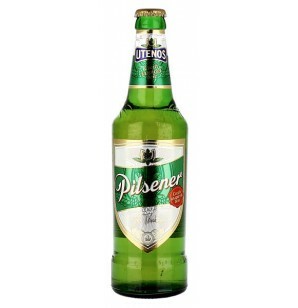 Pilsen (Czech Plzeň) is still home to the Pilsener Urquell brewery, the maker of another familiar beer. At 4.4%, this is a lighter brew than Krušovice, and a little maltier and sweeter. 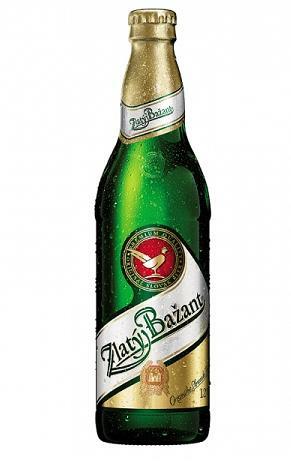 Neighbouring Slovakia is not as noted for its beer, but Zlatý Bažant (Golden Pheasant) is found throughout much of Europe and while it is not going to produce any revelations, is a nice enough beer, again in the mode of a Pilsener. A lot of beer from central and eastern Europe is around the 5% mark, but there are beers more closely akin to the strength of a British session ale. 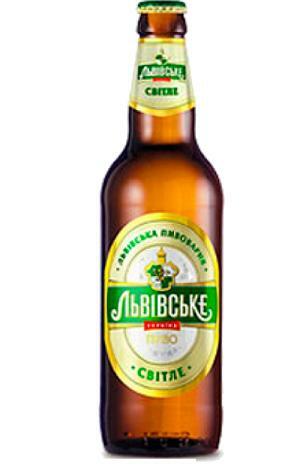 One such is Ukraine’s Lvivske Svitle (Light) (Ukrainian Львiвське Свiтле), a very mild 3.7%, a golden beer with a refreshing taste. 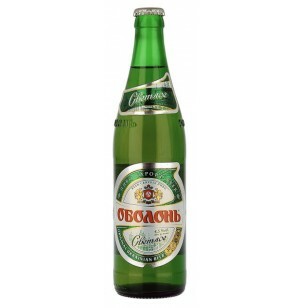 Obolon Light (Ukrainian Оболонь Світле) is a little stronger at 4.5%, a touch maltier than the Lvivske. 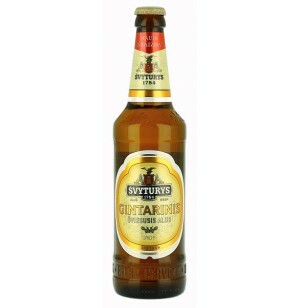 Lithuanian drinkers regard anything under 5% as mere child’s play, but Svyturys Gintarinis bucks the trend at a mere 4.7%. Although it is is Pilsener style lager, it has a pleasing hop bitterness that is appealing to those of us that favour hops over malt. The Utenos brewery also produces a similar, though less hoppy beer in the form of Utenos Pilsener (4.6%). For a corresponding style in Latvia, the 4.5% Aldaris Gaisais has a nice hop aroma and quite bitter taste. An even lighter option, built for session work, is Bauskas Alus Gaisais, a gentle 4%, but still with plenty of flavour. 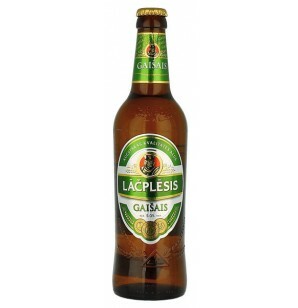 For those preferring something stronger, there is Lacplesis Gaisais, a 5% beer brewed in the Dortmunder style. Beer from the Balkans is quite hard to find, a pity since there are some worthy brews, notably from Croatia. The most commonly found is the Slovenian Lasko. Their Zlatorog lager is not, in truth, terribly exciting, but it is a perfectly drinkable beer that is 4.9%. This quick trip around pale beer is, of course, far from exhaustive and is confined to the brews that are relatively simple to find in the UK. There is, happily, a microbrewery culture growing up all around Europe and plenty of bars, especially in the bigger cities, where you can find all sorts of delights. This brief introduction, it is to be hoped, provides the incentive to discover more. Duck Holiday takes beer very seriously indeed, and it is purely in the name of scientific research that we have worked so hard to sample so many different beers. This being a site dedicated to the pleasures – and occasional displeasures – of central and eastern Europe, it is logical to concentrate on produce from that part of the world. Before we move on to the exciting part, there are two points to note. The first is that Duck Holiday has a goodly proportion of Irish blood and is thus rather well disposed towards beer that is dark. There is nothing wrong with a pale beer (except, of course, the mass produced, fizzy, freezing cold, chemical filth that passes for lager in Britain), but for now, the dark side wins. The second is that we will focus on beer that can be obtained in the UK. This, unfortunately, means that we cannot include excellent establishments such as the wonderful Kratochwil in Ljubljana, but certain restrictions have to be imposed or this article could go on for several years. Germany is the obvious place to begin the quest. 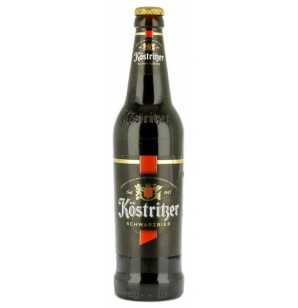 A particular favourite is Köstritzer, a gloriously black beer from Bad Köstritz in what we might call the German East Midlands. At 4.8%, it is a little on the vigorous side for a session, but if taken slowly, it can be spun out over much of an evening. This beer, sold by a number of off licences in the UK, is also available through the excellent Adnams Brewery in Suffolk, so those keen on a fix of Köstritzer might also fancy trying a selection pack of different Adnams’ ales. Kaiserdom is in a similar vein, a 4.7% beer from the town of Bamberg in Bavaria. Like any good beer of this type, any malty sweetness is well balanced by bitter hops. The finish is a pleasing toasty coffee flavour. Another familiar site on these shores is Krombacher, one of Germany’s oldest breweries located in Kreutzal, in central western Germany. This is closer to a session beer at a more modest 4.3% , so it’s a good choice if you want to make an evening of it. Proving that not all German beers start with the letter K is Lausitzer Porter, brewed in the town of Löbau near Dresden. 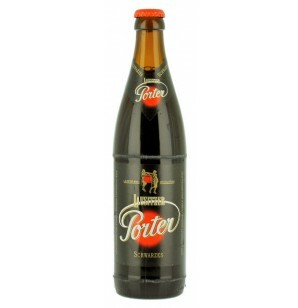 Although it is called a porter, the beer is more like a black lager and is a very quaffable 4.4%. It should be noted, however, that this is a beer for those with a sweet tooth. 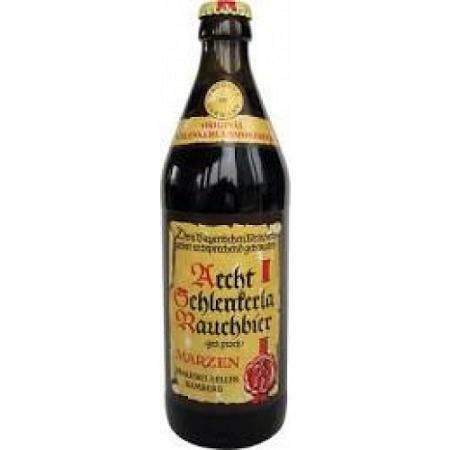 Something that is more geared to those of us that prefer bitter beers is Marzen Smoked Beer, from the town of Herzogenaurach near Nuremberg. This is truly an extraordinary experience. Merely opening the bottle hits you with a blast wave of smokiness, as if you’d just unwrapped a particularly vigorous smoked cheese. At 5.1%, it is not overpowering in strength, but it is probably something you’d want to have as a one-off at the end of an evening. Having this as your first drink of the night means that it’s likely you won’t be able to taste anything else properly. The presence of a substantial Polish community in Britain means that quite a few beers from Poland are easily found. Admittedly, many are rather standard issue lagers and not terribly exciting, but there are exceptions. For those with an adventurous nature and a strong constitution, the 8.3% Okocim Porter is worth a try. Like most beers of this strength, it is rather on the sweet side. The most visible Polish beer in Britain is Żywiec and this brewery produces an even more headbanging affair, a brain-clobbering 9.5% porter. Handle with care. The Czech Republic is renowned for its beer and the cerny produced by Krušovice is a classic example of how a beer does not need to be mind-blowingly strong to have a depth of taste and character. At 3.8%, this falls firmly into the category of a session ale. The town of Krušovice is to the west of Prague and Krušovice beers can be found in many parts of Europe, also proving that mass production does not necessarily mean poor quality. 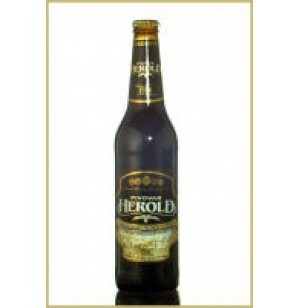 A liitle to the south lies the town of Březnice, where the exceptional Herold Black is brewed. This gorgeous beer is a bit more potent at 5.2%, but is very (and slightly dangerously) drinkable. It is everything that a black beer should be, full of toasted, roasted flavour. The Baltic region produces some lusty porters. Lithuania is especially notable in this regard. Utenos Porteris, brewed in the north-east of the country, is a powerful 6.8% ale. Despite its name, Volfas Engelman Imperial Porteris from Kaunas is, in fact, a little lighter at a mere 6%, which in Lithuanian terms is relatively meek. Latvia, too, has a few porters. One of the more commonly found is Aldaris Porteris, brewed in Riga and another 6.8% beer. A slightly more easy going alternative is Bauskas Alus Tumsais Dark, from Kaunas. At 5.5%, this is getting close to the Baltic’s idea of a session beer. Ukraine has quite a number of breweries, though Ukrainian beer does not tend to venture too far west. We did, though, discover Lvivske Porter (Львівське) – from the western Ukrainian town of Lviv, surprisingly enough – and this is another of those 8% affairs that is best drunk as a sipping beer at the end of an evening. With the welcome return of some excellent independent off licences and some splendid online retailers (Beers of Europe is a site that can be browsed for many hours), there is every reason to suppose that eastern and central Europe’s hidden gems can be continue to be unearthed for beer lovers in the west.